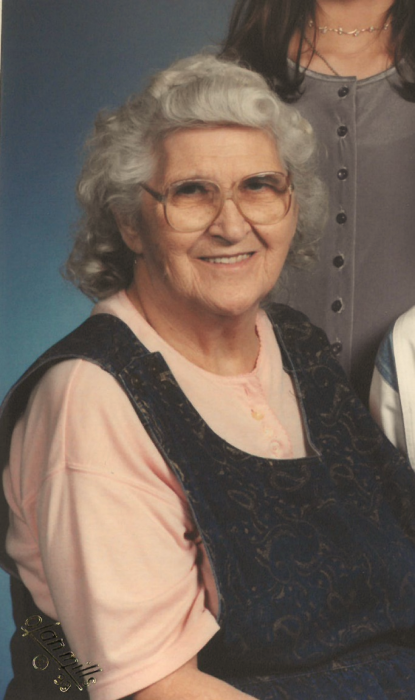 Letene Daugherty Enix Leach, age 99 of Knoxville, Tennessee, passed away on Monday, March 18, 2019 at the Island Home Park Health and Rehabilitation Center. Letene was born June 16, 1919 in Briceville, Tennessee to the late William and Ida O’Dell Daugherty. She was a lifelong member of the Lake City Church Of God. Letene worked at Oak Ridge during WWII and Leach Pottery. She loved quilting and gardening. Her sons and grandchildren were her life. In addition to her parents, Letene is also preceded in death by her husbands, Irvin Enix and Hobert Leach and step daughter, Audrey Gacsal. Visitation: 1:00 PM to 3:00 PM, Wednesday, March 20, 2019 at Hatmaker Funeral Home. Funeral Service: 3:00 PM, Wednesday, March 20, 2019 in the Hatmaker Funeral Home Chapel with Rev. Donald Douglas officiating.